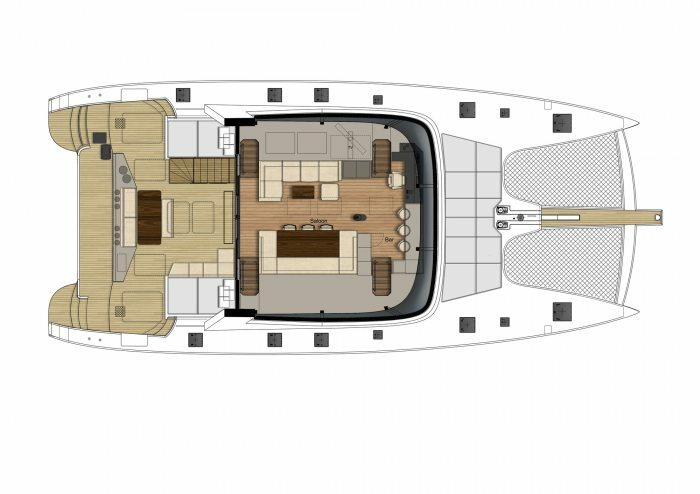 Offering plenty of space to enjoy life onboard, DIANA's vast saloon comprises two generous lounging and dining areas and a bar with a panoramic view of the sea. 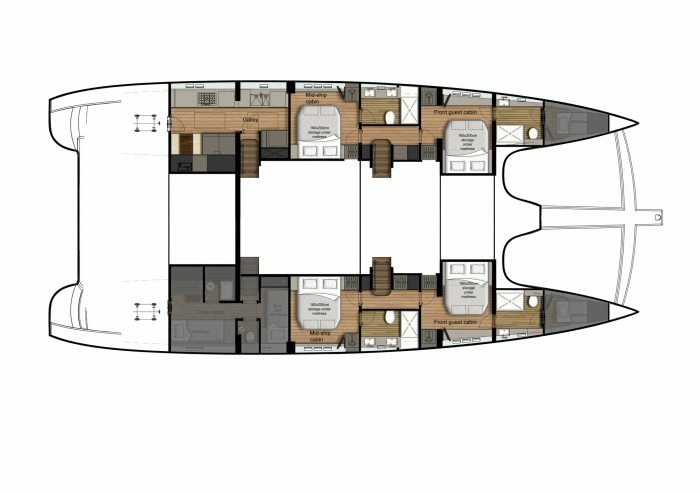 Her charter-friendly layout features four equal sized double cabins, each with generous en suite bathrooms, with elegantly arranged interiors creating a relaxing and soothing ambience. 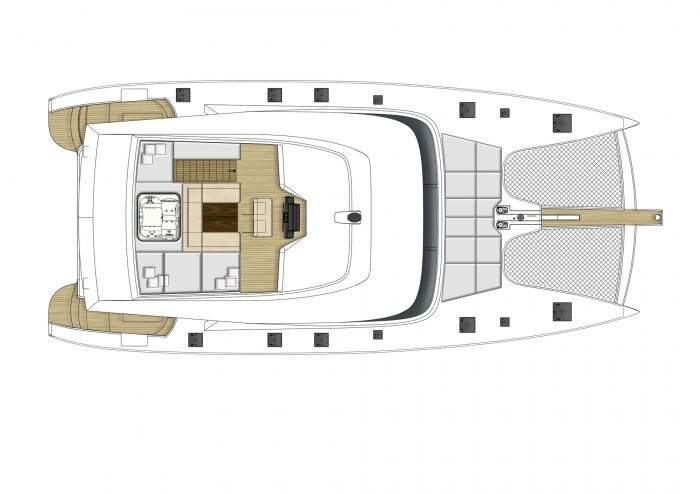 This remarkable Sunreef 74 is a sports and wellness oriented charter yacht with a jacuzzi and workout area on her spectacular flybridge and with a fitness instructor or a masseuse available upon guests request. All enthusiasts of water sports will be amazed by her rich assortment of water toys which includes water skis, seabobs, scuba diving gear, a wakeboard and 2 tenders. Weekly rates are all inclusive except special requests (fine wines, champagne, specific alcoholic drinks, excessive alcoholic consumption), local cruising taxes and permits, air fares, transfer airport/yacht/airport, dockage fees if any, use of communications means available on board and crew gratuity. Fuel included for 4 hours on engine daily. For the Caribbean all-inclusive charters a small APA of 5% is recommended to cover the local cruising permits and any other additional expenses. *Christmas / New Year's Rate: 20% surcharge is applied.